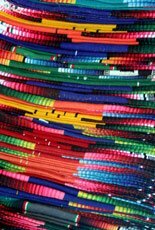 Mexico’s colorful culture awaits you. Admire world-renowned artwork by early 20th-century painter Frida Kahlo & her husband, Diego Rivera. Taste traditional Mexican dishes, tour an ancient Mesoamerican civilization, learn about the Day of the Dead, & much more. Frida Kahlo Museum – Visit the house where the beloved artist was born. Diego Rivera Mural Museum – See works of art by the famed painter & husband of Kahlo. Museum of Mummies – Observe more than 100 mummies. Floating Gardens of Xochimilco – Enjoy a lunch cruise. Teotihuacan Archaeological Site – See the Pyramid of the Moon & the Pyramid of the Sun. Arrive at the airport, & transfer to the hotel in Guanajuato. Enjoy a welcome dinner this evening. Spend the morning at leisure. After lunch, head to the Museum of Mummies, where you’ll observe more than 100 mummies. This evening, enjoy dinner at a local restaurant. Discover the sites of Guanajuato this morning on a guided tour of the city. 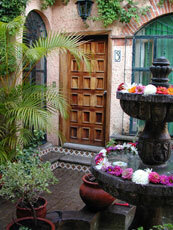 Highlights include a visit to the house where the husband of famous, early 20th-century painter Frida Kahlo once lived. Enjoy lunch at a local café. Next, celebrate Miguel de Cervantes’ fictional character “Don Quixote” at the Iconographic Museum. Learn about the “Dia de Muertos,” or Day of the Dead, during a historic guided tour through Guanajuato. Enjoy the remainder of the day at leisure afterward. Travel to San Miguel de Allende this morning. Enjoy a guided city tour upon arrival. Highlights include the UNESCO World Heritage city center. Afterward, check in to the hotel, & spend the remainder of the day at leisure. After breakfast, head to Mexico City. Enjoy lunch at a local restaurant upon arrival. Take a guided tour of the city afterward to discover beauties of art, & architecture. Take a walk through the Zocalo. Admire a famous mural painted by Frida Kahlo’s husband, Diego Rivera. Visit the National Palace & the 19th-century Metropolitan Cathedral. Other highlights include a visit to San Ildefonso College. See more of Diego Rivera’s artwork today during a tour of the Diego Rivera Mural Museum. Visit the Place of Three Cultures, & learn about Mexico’s history over the centuries. Other sightseeing highlights include the Basilica of Guadalupe. After dinner this evening, enjoy a folkloric ballet performance. Head to the Frida Kahlo Museum, where you’ll admire the painter’s artwork on display in the building where she was born. After lunch, visit the Trotsky House Museum to see where the former Russian political figure, Leon Trotsky, was assassinated. You’ll also learn about Trotsky’s connection to famous painters Kahlo & Rivera. Explore the Teotihuacan archaeological site. During your visit to the ancient civilization, you’ll see both the Pyramid of the Moon & the Pyramid of the Sun. Afterward, head to the San Angel neighborhood for a unique culinary experience. You’ll enjoy a sampling of Kahlo’s favorite, traditional dishes. Spend the remainder of the day at leisure afterward. Take a guided tour of the Dolores Olmedo Museum after breakfast. Next, you’ll head to the Floating Gardens of Xochimilco. Enjoy lunch as you cruise along the river. Later today, visit the Diego Rivera Studio Museum, & shop for traditional handicrafts at the San Angel Saturday Bazaar. Return to the hotel for a farewell dinner.